South Africa Photos: We love Living in South Africa - Be inspired! South Africa Photos ... We love South Africa - Be inspired! We have browsed our files for some awesome South Africa photos for travel inspiration. We love living in South Africa and love to share our impressions about the beauty of the country and its people. Let's be inspired! South Africa is an amazing country with blue skies, stunning scenery and friendly people. A stunning countryside, abundant wildlife, friendly people and a lately very favourable exchange rate make this country one of the world's favourite destinations for holiday makers, business travellers and expats. 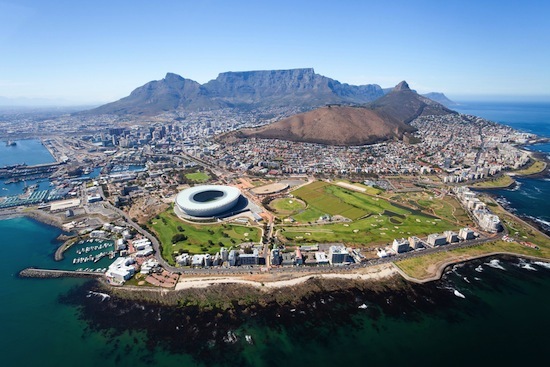 Cape Town, South Africa's second biggest city and the business hub of the Western Cape, lies at the tip of the African continent. Table Mountain and the V&A Waterfront are some of the country's top tourist attractions. Read more about our family living in Cape Town here. With more than 3 000 km of coastline, there is a beach for everyone, whether you want to swim, sunbathe, surf, fish or simply walk. The water temperature along the coastline varies widely ranging mid-summer from 18 degrees Celsius in the Atlantic Ocean to 25 degrees Celsius in the Indian Ocean. 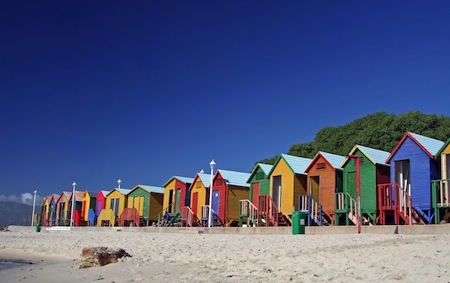 And Cape Town is one of the top beach cities in the world according to National Geographic! Johannesburg, also called 'Jozi', 'Joburg' or 'Egoli' is the capital of Gauteng, South Africa's smallest but most populous province. 'Egoli' (so called at it was once the center of the gold rush) is the country's most vibrant city and busiest economic hub. 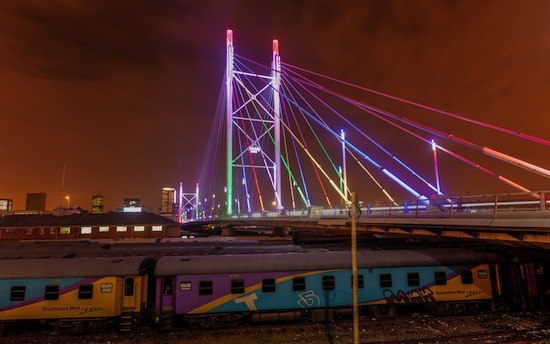 On the photo above, you see the illuminated Nelson Mandela Bridge, which spans over 40 operational railway lines. 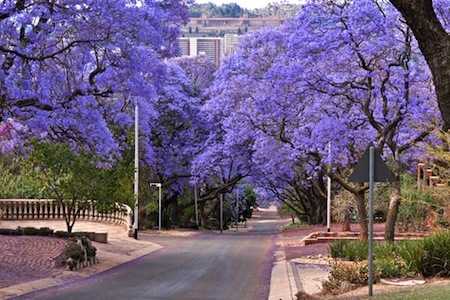 Pretoria, also called Tshwane, is dubbed the 'Jacaranda City' due to the purple blossoms of it's thousands of jacaranda trees blooming in spring. The administrative capital of South Africa is home to many diplomats from all around the world. 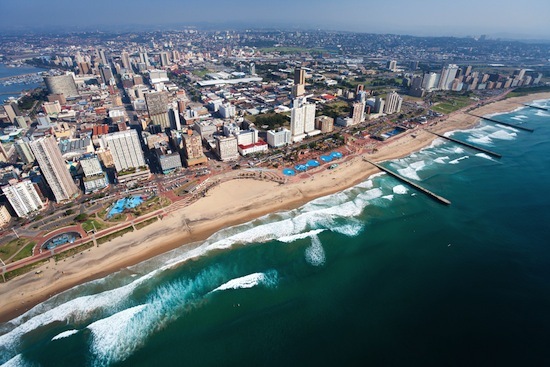 Durban is South Africa's third largest city and home to the local Zulu population, a large number of Indians and expats from around the world. Because of its beachfront promenades lined with holiday accommodation, the city is also referred to as 'South Africa's Miami'. Many different ethnic groups live together in South Africa, each with their various traditions and cultures. 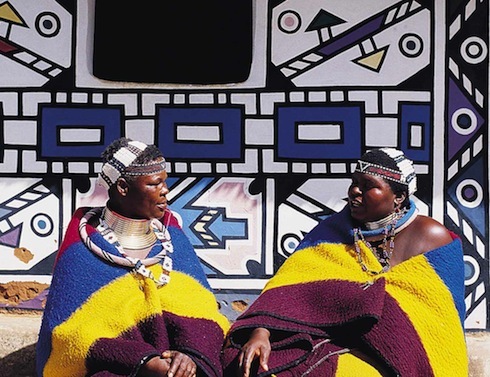 The Ndebele, who paint their homes with colourful geometric patterns, live mainly in the Mpumalanga and Limpopo provinces in the northern and north-eastern parts of the country. 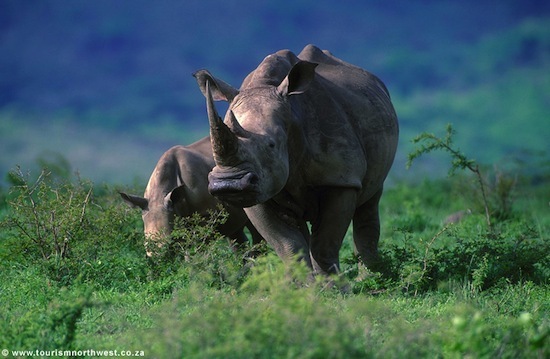 South Africa is renowned for great game viewing. The Great Limpopo Transfrontierpark, commonly known as Kruger Park, is considered the world's largest conservation area and is roughly the same size as The Netherlands. Traveling the park in your own car is great any time of the year. Bear in mind that for visits during the rainy season, roughly from October to March, the wildlife can be less easy to spot, being 'hidden' because of lush vegetation of the bushveld. South Africa is one of the most biologically diverse countries in the world and is renowned for its spectacular landscape and flora. 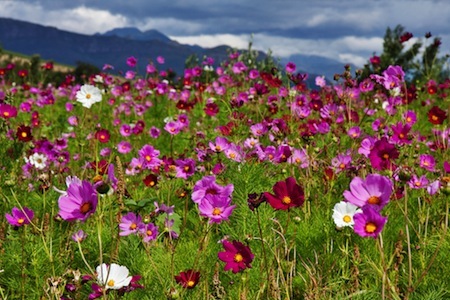 The Cosmos flowers, which come in 20 different species, are in bloom in autumn and can be admired on meadows in the Free State. 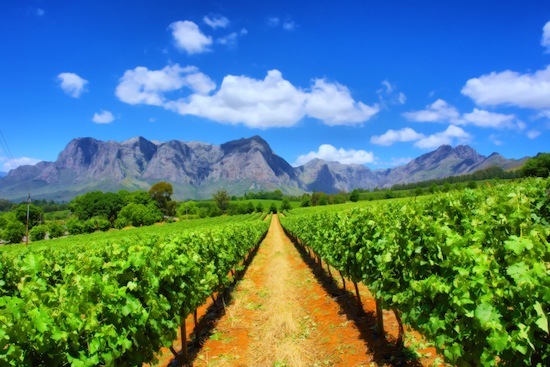 The Cape Winelands are known for award-winning wines. South African wine-making traditions reach back more than 350 year and wine is cultivated by more than 500 cellars in various regions around the country. Did you like our article and these South Africa Photos? Feel free to like and share! Read more about the great landscapes and attractions of South Africa in our book. Interested to see more? Then click on the book to view some pages of the book. 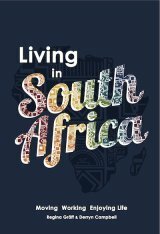 Where to get the Living in South Africa book? Have you already subscribed to our FREE newsletter with tips and news for all living in South Africa? If not, simply add your details below. We are looking forward to sharing our updates and news with you!